Technically, Okinawa is still part of Japan, but you might understandably start to doubt that on the remote island of Aguni. The bone washing ritual called senkotsu would be one reason why (it is what it sounds like). 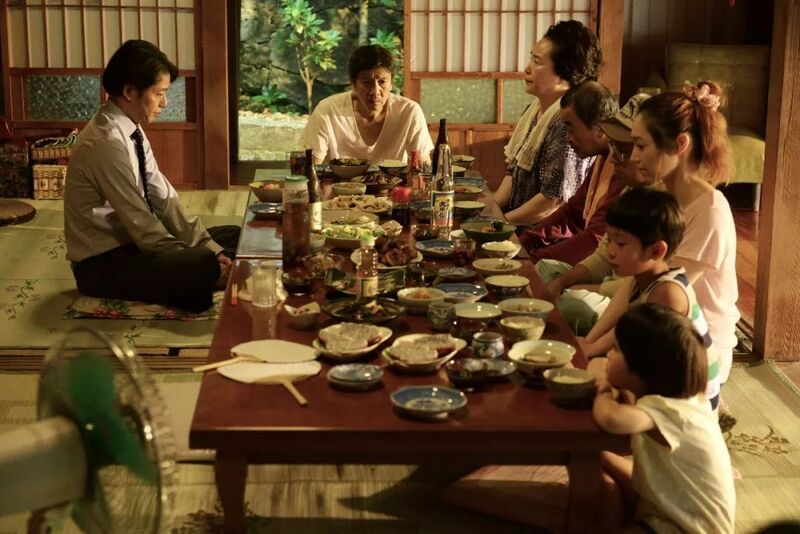 Four years after the death of their mother, a wildly dysfunctional family reunites to literally wash her bones and pick bones of their own in Toshiyuki Teruya (a.k.a. Gori)’s Born Bone Born (trailer here), which screens during the 2018 Japan Cuts Festival of New Japanese Film. Since Emiko died, her husband Nobutsuna has become a sad drunk. Their grown son Tsuyoshi bitterly resents being the responsible one, who paid off the family debts. Responsibility has never been his sister Yuko’s strong suit, but when she shows up in an advanced stage of pregnancy with no husband in tow, it totally scandalizes the island. Fortunately, matronly Aunt Nobuko can put gossips in their place, right quick. Obviously, the awkward homecoming will crescendo during the senkotsu ceremony. In the meantime, the family will air all their grievances, but frankly, they probably need to get everything out in the open before they can start to heal. In fact, their family actually stands to grow, between Yuko’s baby and her lover, who has no idea what kind of buzz saw he is walking into when he follows her out to Aguni. BBB is a lovely little film that is not unlike Kore-eda’s Still Walking (which also screens at this year’s Japan Cuts, in honor of its 10th anniversary), both in terms of theme and tone, but Teruya/Gori finds considerably more humor in family angst. In fact, the humor nicely counterbalances the sentimentalism of it all. The ensemble also shows great range and flexibility. Just when they seem to settle into their assigned roles, Ayame Misaki as Yuko, the flaky one; Eiji Okuda as Nobutsuna, the depressive one; and Michitaka Tsutsui as Tsuyoshi, the judgmental one; they start to mellow and evolve. Aguni makes quite a picturesque backdrop, where it looks like time stands still (which it actually does, according to one character). Kazuya Sahara and Koja Misako also penned a beautifully evocative minimalist soundtrack that also compares favorably with GONTITI’s music for Still Walking. Once again, Teruya proves nobody does domestic drama and dramedy better than Japan—or in this case, Okinawa. Highly recommended for discerning adult viewers, Born Bone Born screens tomorrow at noon (7/21) at the Japan Society, as part of this year’s Japan Cuts.